Finding yourself in a creative rut? Whether you’re a writer, artist, small business owner looking to spice up your brand or just someone who needs a little refresh, here are five things you do to get your creative juices flowing. This may seem counter-intuitive, but a lot of times people can’t get their creative juices flowing simply because their minds don’t have the space— it’s been preoccupied with daily chores and is too tired managing life. Creativity flourishes when the mind feels fresh and rejuvenated. Making sure you get enough sleep until you feel balanced, or deliberately spending an afternoon doing absolutely nothing may be all you need to bring the creative spirit within you back to life. Did you have a doodle book when you were little? It might not be a bad idea to start one again. When tending to our day-to-day lives, we often only have limited space for our creative thoughts. A creativity journal will let your mind wander without going into overload since all of your ideas will be down on paper. Keep a journal with you at all times—you might be surprised where a random idea written down can take you. You can also make your own creativity journal with MagCloud’s compact Digest product, its small enough to take everywhere you go! While keeping a daily routine helps with staying efficient, breaking out of it can spark new ideas. Even seemingly small actions such as starting a conversation with a stranger at a supermarket can be all it takes to get your creativity back. A trip to the great outdoors or to a quiet place where you can let yourself (and your thoughts) just “be” without judgment can also work wonders. Where would you go? Since you’ve probably been marinating on your idea (or lack thereof), simply talking to people who have different approaches to life can also help pull you out of your rut and in new directions. They may get you thinking about your idea in ways you never imagined. Trying things that you would never expect to do can take you to a whole new realm of thought. If you’ve ever felt resistance against an activity, now is the time to embrace it. So take that yoga class you’ve wanted to try, make a music playlist from a genre you never listen to, draw if you are a writer, knit if you are a photographer, take on a new hobby (ie. surfing, creating a children’s book, cooking) you’ve never considered before. Notice the new thoughts that start to form in your head. We can’t wait to hear what you find. 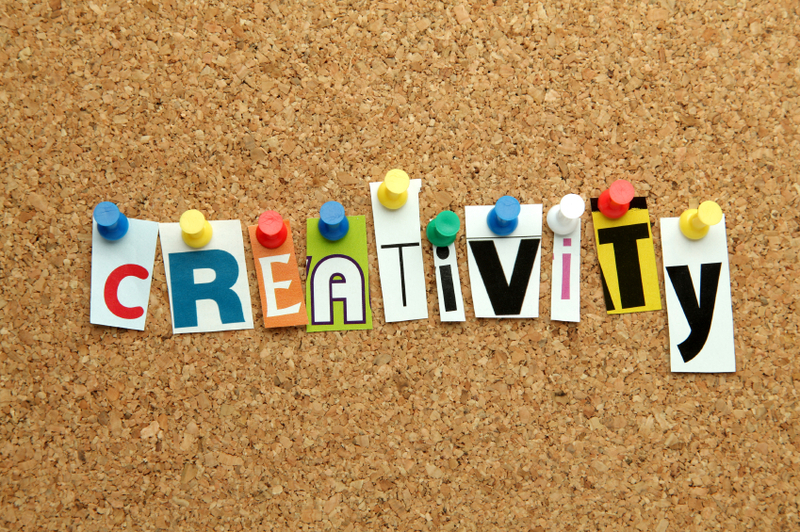 What do you do to get your creative juices flowing? Share with us in the comment section below! In the last few weeks, we’ve been talking about ways to turn your photos into something special with MagCloud. Whether that’s creating a photo book with Photoshop, Lightroom or Aperture, or creating a Summer Memory Magazine, MagCloud makes it easy to enjoy your photos in beautiful print and digital formats. So why not enjoy Summer all year-round by creating a calendar with your photographs? To help you get started, we’ve created 6 templates for you to use with Adobe InDesign and Apple Pages. Simply add your own photos, special dates and details, upload your PDF to MagCloud and you’re set! You can sell your calendar online in the MagCloud Storefront or use our Direct Mail feature to send a copy to all of your friends with just a few clicks of the mouse. *Remember that prices drop 25% off when you order 20 copies or more. So if you’re looking to order gifts for friends and family, or a great way to promote your business–a MagCloud-published calendar may be the perfect solution. You may also remember that last year we talked about using a MagCloud-printed calendar to promote your business. In exchange for you summer vacation photos, you can easily add images of your products, team members, or local scenery. Add your logo to the back cover along with a bit about your business and contact information and voila–you’ll keep your brand top-of-mind and in front of your customers all-year-round. 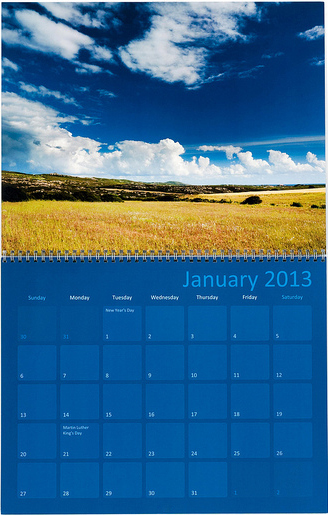 Since last year’s calendar template was so popular we also decided to revamp it for 2013. Enjoy! That sounds too complicated for me. Don’t want to use either of the above applications? MagCloud Partner Poyomi has an easy-to-use web-based platform that helps you create 14″ x 11″ calendars that are printed by MagCloud. With their service you can easily upload photos from your computer or connect to your accounts on photo-sharing services like Flickr, Smugmug, Picasa and Facebook. 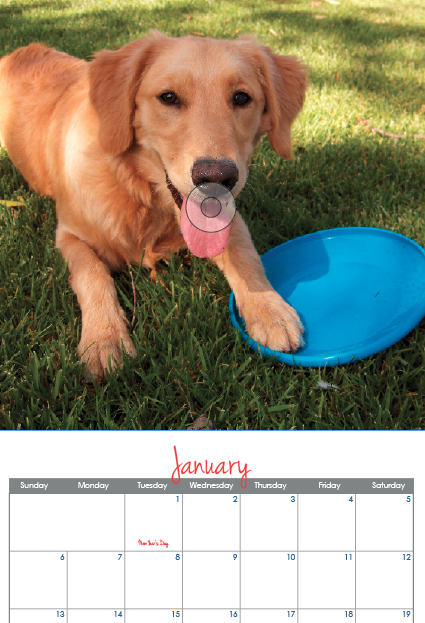 To get started with the Poyomi calendar tool click here.